Today for the Pendragon's Heir release party, I'm on Fulness of Joy, introducing you all to one of the two main protagonists: Blanche Pendragon! I was always fascinated when I stumbled across a good action movie—the Bourne films, for instance—in which the female characters did not join in the fighting. I had read Robert McKee’s Story, and I knew that film is an unforgiving medium: anything not directly related to the resolution of the plot must be left on the cutting-room floor. Clearly, keeping the ladies out of the fighting put a huge burden on the filmmakers to justify their existence in some other way—and that, it seemed, was when they really became characters in their own right. 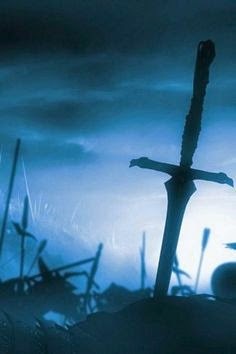 I was going to write a thrilling tale of action and adventure in medieval Arthurian Britain featuring a female protagonist—not a sidekick, not a love interest, but a protagonist—who would have trouble knowing one end of a sword from another. How did I do it, and why is Christine de Pisan's medieval French book The Treasury of the City of Ladies the most awesome thing since buttered toast? Check out Fulness of Joy to find out! Today I'm being hosted by Hanna of the delightful blog Book Geeks Anonymous with a detailed tour guide of medieval Arthurian literature. 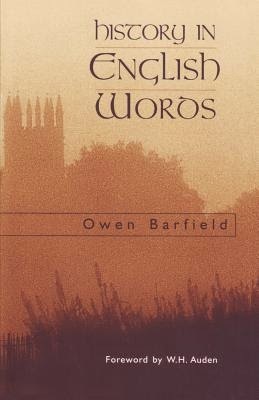 Ever wondered what the definitive English text is, or where you can find an excellent introduction to Arthurian lit for young people? I suppose the first thing to note about Arthurian legend is that there is not really a definitive version. One of the first tellings of the tale, in Geoffrey of Monmouth’s pseudohistory, is almost unrecognisable as the bare bones of the legends we know today. What we do have is a paper trail: a series of retellings, each one copying and embellishing the one that preceded it, adding characters, episodes, and plot points until the legend arrives at something like its recognisable form. Pop over to Book Geeks Anonymous for the full tour! Today, I'm featuring over at The Art of Storytelling with a blog feature on one of the two major protagonists of Pendragon's Heir, Sir Perceval of Wales, a super fun character I very much enjoyed writing! Born in a cave, clothed in skins, raised far from civilisation, Perceval seems an unlikely candidate for knighthood. 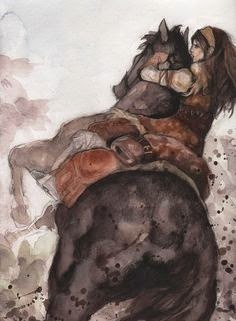 But when the wild boy of Wales comes to Camelot to become a knight like his father, he’s quickly hailed as the flower of chivalry, acknowledged as the son of the King’s most loyal knight, and entrusted with the safety of the King’s own daughter. As a knight of the Round Table, a guardian of Logres against the forces of darkness, Perceval knows he is almost certainly destined for an early death in battle. 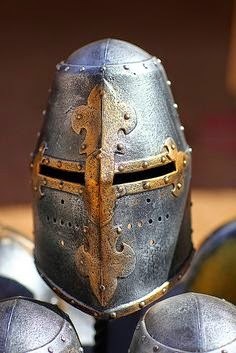 His new life of adventure, fellowship, and glory is its own reward, however, and the price is one he’s prepared to pay. But is he prepared to face the evil lurking within Logres itself? Read the rest at The Art of Storytelling today! Pendragon's Heir is now available! Welcome back to Day 2 of the Pendragon's Heir release party! Today brings good news! The Amazon delays are finally over. If all goes well, sometime in the next few hours, Pendragon's Heir, Kindle Edition, will appear on Amazon at this link. My Lady Bibliophile, where Schuyler and I will curl up to have a Round Table discussion of Pendragon's Heir (pun definitely intended! ), especially when it comes to my philosophy of magic in fantasy and why I believe the beta reading process is so important. And here's where to buy it! Find Pendragon's Heir in a range of formats suitable for most devices (including Kindle!) here. In a few days, the ebook should also show up on Apple, Barnes & Noble, Kobo, &c, &c. Amazon is still uncertain, so if you have a Kindle, I'd recommend grabbing the Smashwords edition. Find Pendragon's Heir in a lovely paperback here. The paperback is also available through Amazon. International readers will be able to find it on The Book Depository within a month or two; I'll send out word by social media when that happens! I'm so excited about this book, and am looking forward to discussing it with you all! Feel free to tweet reactions to @suzannahtweets with the hashtag #PendragonsHeir (no spoilers please!). Meanwhile, we have much release-date celebration occurring around the blogosphere. First up will be an interview with the lovely Anne Elisabeth Stengl, author of the Tales of Goldstone Wood series. Around the same time, I'll head over to Rachel Heffington at The Inkpen Authoress to discuss the ingredients of the Pendragon's Heir romance! 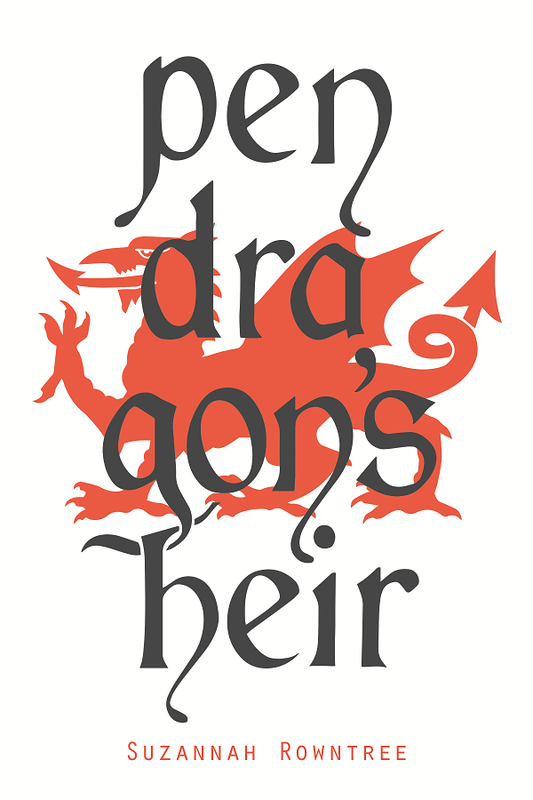 Finally, a bit later on today, my good friend and ace beta reader Christina Baehr of Baehrly Reading will be posting a chatty interview delving deep into some of the behind-the-scenes of Pendragon's Heir--you won't want to miss this! More to follow--watch this space! So, a lot of people have been asking about the Pendragon's Heir release! Is it available yet? Where's the preorder link? When can we read it already? I confidently predict that it's going to be epic. Not only will you finally be able to read my baby, there'll also be a whole week's worth of release party fun, in which I'll be guest-posting on a number of different blogs with all the juicy backstage details on characters, plots, inspiration, and the like! And there, folks, is the not-so-good news. I submitted the Kindle edition for pre-order last week, it sat in review for 24 hours...and Kindle Direct Publishing blocked my request. Customer service hasn't been able to tell me just what the problem is yet, which I take as a good sign, since it can't be anything big or glaring. However, this does mean that the status of the Kindle edition is a little uncertain while I wait for KDP to sort itself out. In the interim, I got into gear and formatted a Smashwords edition. It's too late to release that on preorder by now. So...folks, there isn't going to be a preorder. What there will be, Lord willing, is a release going ahead as planned. The paperback passed its review process with flying colours and is all set to release on CreateSpace; you'll be able to buy it from there, and thence, after a few days, it will pop up on Amazon and the Book Depository. The ebook will also release as planned, on Smashwords for sure, and on Kindle whenever it pleaseth God, but hopefully soon! In the meantime, you might enjoy reading some of the advance chatter I've been hearing from reviewers! I am going to let CS Lewis introduce something of the flavour of this review. This is very much the mood of one of the best-known of the Icelandic sagas: The Saga of the Volsungs. Written sometime in the 1200s by an unknown author, the Volsunga Saga is the more or less definitive version of the old Norse tale of Sigurd the dragon-slayer. Other versions of the story are extant; most notably the German poem Der Nibelungenlied, and in more recent years Wagner's Ring cycle of operas and JRR Tolkien's Legend of Sigurd and Gudrun. Both the more recent treatments drew more heavily on the Icelandic Volsunga Saga than the German Nibenlungenlied, but are quite different in their aims. Wagner's Ring is very much a work of nineteenth-century romanticist radicalism. Tolkien's Sigurd and Gudrun is a faintly Christian-flavoured tribute to the Icelandic Eddas he fell in love with as a young man. Both are fascinating cultural artefacts in their own right, but there is no reason at all why the casual reader should not begin with the original Volsunga Saga, which is an eminently accessible story in a fairly slim volume. 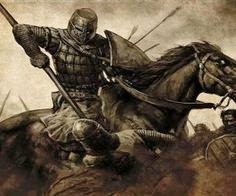 It is said that one day Sigurd rode into the woods with his hounds and hawks and many followers. When he returned home, his hawk flew to a high tower and settled by a window. Sigurd went after the hawk. Then he saw a fair woman and realised that it was Brynhild. Both her beauty and her work affected him deeply. He went to the hall but did not want to join in the sport of the men. Then Alsvid said: "Why are you so quiet? This change in you concerns us, your friends. Why can you not be merry? Your hawks are moping, as is your horse Grani, and it will be a long time before this is mended." [Signy] rose up, took both children, went to the outer room to Sigmund and Sinfjotli and said they should know that the children had betrayed them, "and I would advise you to kill them." Sigmund said: "I will not kill your children, even if they have betrayed me." But Sinfjotli did not falter. He drew his sword and killed both children, casting them into the hall in front of King Siggeir. And I also believe it is Signy who inspired CS Lewis' lines about the women who "walked back into burning houses to die with men", quoted above. It is things like this that make me wonder why some folks object to classical education on the grounds that pagans were depraved people whom we should not revere. To my mind, that is precisely the benefit that comes with reading the classics. Without books like this, I might never have known just how dark the world was before the coming of Christ. I might never have known how much the Gospel has changed our world already. I might not have so much hope for the future. 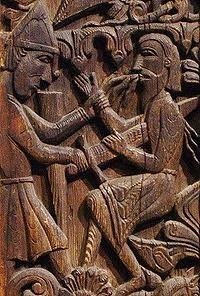 But the Volsunga Saga was written in the 1200s, a good couple of centuries after the Christianisation of Iceland recorded in Njal's Saga. 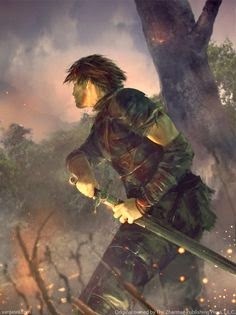 In my book War Games, I discussed my belief that Njal's Saga, Beowulf, and similar epics are works of Christian apologetics, depicting the hopelessness of the pagan condition and the hope of redemption and peace in Christ--this being most visible in Njala. Reading the Volsunga Saga, I have to wonder whether it was written for the same purpose. So far I'm not convinced. It is bleak enough to warn anyone off paganism, but unlike Beowulf or even Tolkien's Sigurd and Gudrun, the story itself seems to offer no Christian alternative. An Old Norwegian sermon (dated ca. 1200) concerning the consecration of stave churches suggests that for these buildings, as for many other churches, the door symbolically represented a spiritual defense of the interior. Dragon slaying was suitable for representation on church portals and on other Christian carvings because in medieval Christian thought the dragon and the serpent were often connected with Satan. 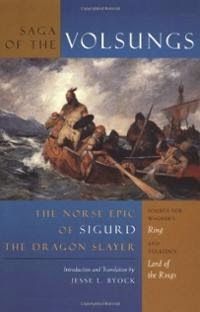 Like other Norse epics of this period--most of them written down by Icelandic authors who, being separated by a long sea voyage from their homelands, chose this method of preserving their heritage--The Saga of the Volsungs is a colourful tale of adventure, revenge, and tragedy, pulling no punches when it comes to the despair and hopelessness of the pagan condition. Find The Saga of the Volsungs on Amazon, The Book Depository, the Online Medieval and Classical Library or Librivox. Before we get on with the review here, I'd like to take a moment to congratulate Emily H, the winner of the Pendragon's Heir ebook giveaway! I'll be sending Emily her advance copy of Pendragon's Heir soon. For those of you who didn't win, the release date of March 26th is only three weeks away! It will be accompanied by much celebration, including a round of features and guest posts with fellow authors and bibliophiles. What fun! And on to the review! As regular readers of my blog are no doubt aware, I've lately been doing some reading in Byzantine history. Most recently I read a primary source--that's historian-speak for an account written by someone living during the time period he describes--by Anna Comnena, the eldest daughter of the emperor Alexius I Comnenus, who wrote in the early 1100s. I first heard of Anna when I read a young-adult novel on holiday at a friend's place, Anna of Byzantium. This fictionalised account of Anna's life depicted her as a haughty and embittered woman, and centered around her plot to assassinate her younger brother John (later known as John the Beautiful, one of the most able and pious of the Byzantine Emperors) at their father's funeral. Needless to say, I came away from that book with a hearty contempt for its heroine. However, I did learn some of the salient features of Anna's life, including the fact that she wrote an important history of her father's life and witnessed the passage of the First Crusaders through Constantinople on their way to the Holy Land. Consequently, when I decided to research the Crusades in a bit more depth, I was thrilled to pick up a secondhand copy of ERA Sewter's translation of the Alexiad. Deciding to write a novella set in medieval Byzantium, The Prince of Fishes, kicked this primary source a few more notches up my to-read list. The reason for this is that I consider it impossible to write historical fiction without having read at least some primary sources. Without immersing oneself in primary sources (fiction and poetry for preference, but history was all I had at this time), it is impossible to truly grasp the character, mindset, worldview, concerns, philosophies, and general overall mood of a culture. 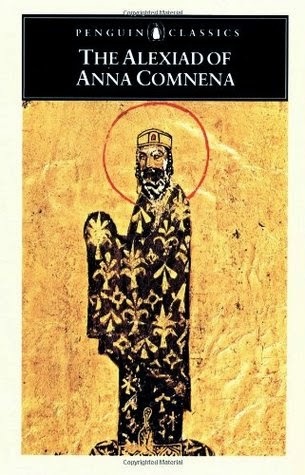 I was unable to give myself a thoroughly good grounding in Byzantine literature, but I had Anna Comnena to hand, and reading the story of her father's reign was an excellent place to start. The book, which comes structured into fifteen "books" like most ancient histories, begins roughly in 1070 with the boyhood of its hero, Alexius Comnenus, when at fourteen years of age or thereabouts he began his distinguished military career. By the time he rose to the throne, in a coup against the emperor Nicephorus III Botanietes in 1081, the Eastern Empire was still reeling under the disaster of the Turkish victory at the battle of Manzikert in 1071 and the Turks had successfully occupied most of Asia Minor, including the legendary Christian city of Nicaea just across the Marmara from Constantinople. The first challenge facing Alexius when he took the purple, however, came from the west. Roger Guiscard, the Norman king of Sicily, had crossed the Adriatic with the intention of invading and conquering the Empire. He was accompanied by his son Bohemund, an able military commander. This sets the stage for two struggles which will characterise the rest of Alexius's reign and, indeed, the rest of Byzantine history. After with difficulty repelling two Norman (or "Keltic") and a Pecheneg (or "Scythian") invasions, Alexius turns his attention to the East, where the Turks are pressing into the south-western coasts of Asia Minor, conquering cities with famous names and long Christian histories--Ephesus, Smyrna, Philadelphia. Anna depicts Alexius acting with all the considerable wile and cunning of Roman diplomacy, but does not admit to Alexius's call for help from the West. She does, however, provide an excellent Byzantine perspective on the passage of the First Crusaders through the imperial dominions--the wait at Constantinople, the friendship forged with Raymond of Toulouse ("Isangeles", or Saint-Gilles), of whom it is said that "whatever the circumstances, he honoured truth above all else," and the Roman distrust of Bohemund, who "inherited perjury and guile from his ancestors". With the aid of the "Kelts", Nicaea is regained and Turkish power in Asia Minor is checked, laying a foundation for further victories against the barbarians; but with old enemy Bohemund setting up a principality in Antioch and carving out holdings in Cilicia on the southeastern border of the Empire, the Norman menace continues from a new quarter. Caught between the unsleeping threat of Turkish expansion in the east, the ambitions of Bohemund in the west and south, and heresies, intrigues, and assassination attempts at home, Alexius Comnenus emerges even from his daughter's fulsome praise as an unusually wily, capable and magnanimous emperor. Robert then despatched all his fit men in pursuit of Alexius, while he himself stayed there, gloating over the imminent capture of his enemy. His men pursued Alexius with great determination. The situation was as follows: below there flows the River Charzanes; on the other side was a high overhanging rock. The pursuers caught up with him between these two. They struck at him on the left side with their spears and forced him to the right. No doubt he would have fallen, had not the sword which he grasped in his right hand rested firmly on the ground. What is more, the spur tip on his left foot caught in the edge of the saddle-cloth and this made him less liable to fall. He grabbed the horse's mane with his left hand and pulled himself up. It was no doubt some divine power that saved him from his enemies in an unexpected way, for it caused other Kelts to aim their spears at him from the right. Thus the emperor was kept upright between them. It was at this moment that the horse gave proof of its nobility: he suddenly leapt through the air and landed on top of the rock I mentioned before as if he he had been raised on wings. Some of the barbarians' spears, striking at empty air, fell from their hands; others, which had pierced the emperor's clothing, remained there and were carried off with the horse when he jumped. Alexius quickly cut away these trailing weapons and contrary to all expectation escaped from his enemies. The Kelts stood open-mouthed. On this occasion, Alexius was pursued further by his enemies and killed several of them before finally rejoining his fleeing army. It makes for thrilling reading, the more thrilling because true--unless Alexius, and the dozens of other old soldiers whose stories are recorded in Anna's history, were exaggerating their adventures. But even if they were, this seems to have been the kind of thing that everyone could believe happening in war; the stories must have been believable to their hearers. I have enjoyed many primary sources, but this book was particularly enjoyable. Anna gives her readers a front-row seat to roughly four decades' worth of adventure, military tactics, palace intrigue, diplomatic skullduggery, assassination attempts, and last-minute reprieves--drama, excitement, and tragedy. It's excellent reading. Her character sketches are fascinating, but unavoidably coloured by her prejudices. Alexius, the hero of this epic, wears the same halo inside the book as he does in the manuscript picture on its front cover, although I admit that if half of his virtues, as Anna describes them, were real, then he must have been a very great and a very good man. With Alexius's nemesis, Bohemund, and the other "Kelts", or Latin Christians, Anna is grudging in her praise and vindictive in her accusations. I lost it completely when she goes overboard in describing their greed by saying that "they would sell their own grandmothers for a song!" (it apparently not being heinous enough that they would sell them for a reasonable market price); and as for Bohemund, "He was the supreme mischief-maker. As for inconstancy, that follows automatically--a trait common to all Latins." Irene Ducas, Alexius's wife and Anna's mother, receives an extraordinary amount of praise. Anna does not, of course, tell us whether the empress was implicated in the plot to assassinate Anna's brother John; other sources tell us that both women joined to plead with Alexius on his deathbed to make Anna's husband, Nicephorus Bryennius, emperor instead of John. Perhaps it is out of gratitude for her mother's support that Anna is so fulsome in her praise. But on the other hand, Irene appears to have been a fairly remarkable character in her own right: later in Alexius's life, she would travel about with him on campaign, massaging his feet to relieve the pain of his gout and acting as a kind of bodyguard whose constant vigilance was needed to deter assassination attempts. "She was a brave and resolute woman," says Anna. "Like the famous one praised by Solomon in the Book of Proverbs, she displayed no womanly cowardice." As for her brother John himself, apart from two or three passing mentions, Anna more or less blackballs him from her history. Nor does she spend much time on the prince to whom she was betrothed as a child, Constantine Ducas (son of a previous emperor and heir presumptive until his early death), nor on "my Caesar", her husband Nicephorus Bryennius, a high-ranking army officer and historian. But they are acknowledged; John, although co-emperor with his father from a reasonably early age, and presumably present on many of Alexius's later campaigns, hardly rates a mention. Indeed, apart from Alexius, the person of whose character we get the clearest picture in this history is Anna herself. Historians have been tutting for years over Edward Gibbon's contemptuous dismissal of Anna's history as "betraying in every page the vanity of a female author." I yield to none in my dislike of Gibbon, but I think he's on to something here. The picture I get of Anna is of someone snippy, hoity-toity, sourpussish, superior, and deeply, sadly embittered. She hates stiffly, proudly, and passionately; she loves dutifully, even hysterically, but always with an eye to public opinion. She is, above anything else, rather painfully self-conscious, jealous of her reputation as a princess and a historian, perhaps motivated by a desire to vindicate herself, at the end of a disappointed life, as the most dutiful and loving of her famous father's children. Her history finishes with a full-scale emotional meltdown bewailing her father's death in 1118, her mother's death in 1123, and her husband's death in 1137; she says that "the grief caused by these events would have sufficed to wear me out, body and soul, but now, like rivers flowing down from high mountains, the streams of adversity united in one torrent flood my house." Yet, as the translator remarks dryly in a footnote, "One could hardly regard three such bereavements in the course of some twenty years as a crushing blow." Generally speaking, however, despite (or perhaps because of) the author's idiosyncracies, the Alexiad of Anna Comnena was an intensely enjoyable read: more human, more immediate, more passionate than any modern-day account. Excellent stuff. Find The Alexiad on Amazon, The Book Depository, or the Internet History Sourcebook.